As promised I am back with some more green stars. 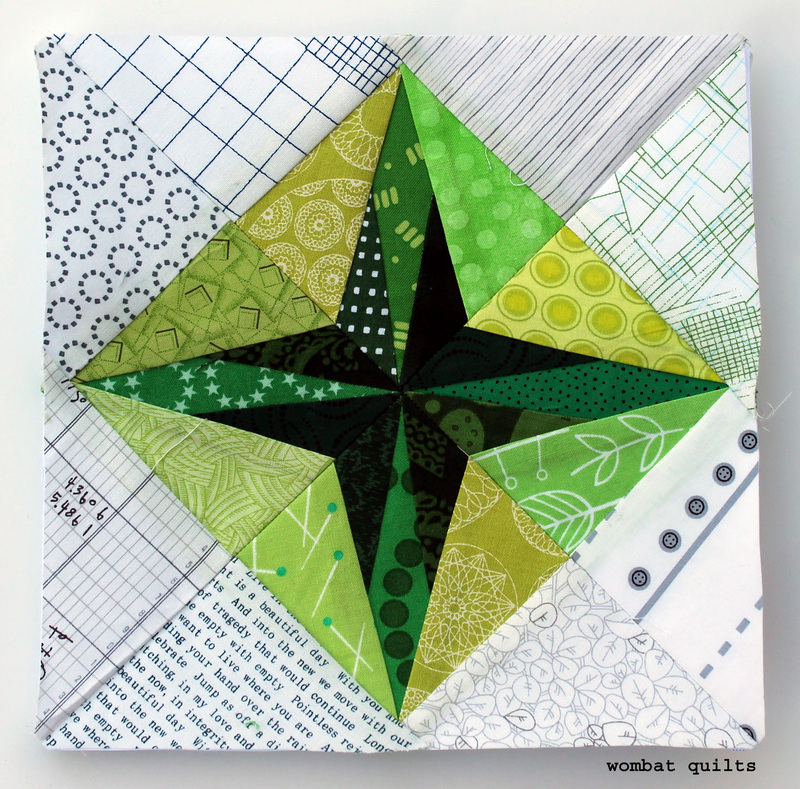 I have twelve finished blocks up on my design wall and this block is lucky number 13…. I called this star Nick’s star, after my husband…what can I say I am struggling to find names for some of my patterns! This 8 inch block has 24 pieces and I must warn you is easier than next weeks pattern, which is more complex, but really fun. You can find the free PDF pattern here…Nick’s Star pattern. I have loved seeing people’s versions of my patterns on Instagram, so go forth and create pretty things! I just love your gorgeous paper piecing. I’ve tried it and could could not make heads nor tails of it though I do EPP. I’ll just continue to look forward to your updates and live vicariously through you. EPP I very different from paper or foundation piecing but I love the results you get with both. 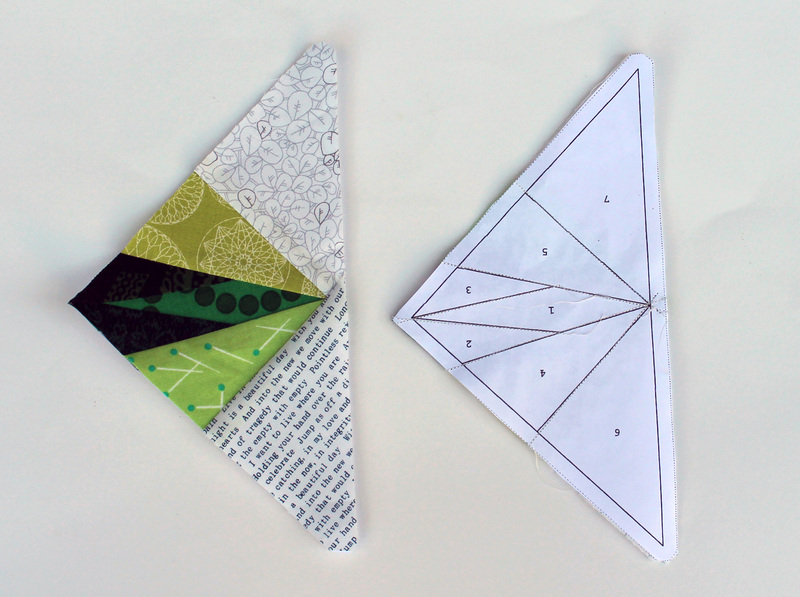 There is definitely a different way of seeing the pattern and fabric with paper piecing…(that whole flipping and reversing stuff can throw you at first. But with a little practice it becomes second nature. Lovely! When are you going to treat us to a sight of all of them up on the wall together? Next week I will do a group photo of the blocks, promise. It’s so cool looking! It reminds me of a compass. How many blocks are you making total for this quilt? I have not decided on the final number of blocks but I have 16 designed so far. I will probably stop at 20. I really like the placement of the dark greens in the center; it really pops! What a shame I vowed not to do any more paper piecing! Your pattern is delightful. Viv I am going to keep tempting you until you can not help but give paper piecing another go… I am patient and willing to wait! This is a great design, love it.